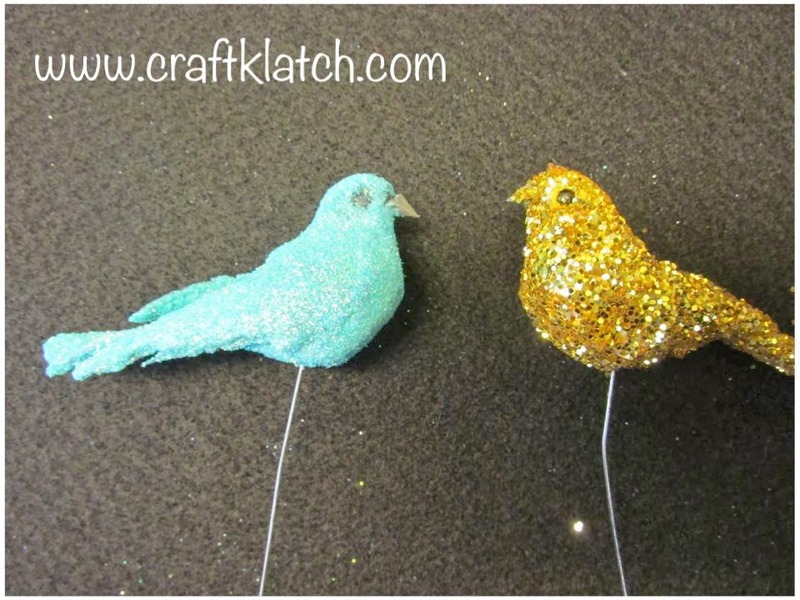 Have you ever seen those glittered birds? They can be a bit pricey and sometimes not the right color. I have an easy fix for you! Go to your local dollar store, I go to Dollar Tree. Pick up some fake birds and let's glitter them! This project is about as easy as it gets! 1. With a paint brush, take your white glue and paint on the bird. I like to do a section at a time. 2. Sprinkle with glitter and gently pat it down. 3. Avoid painting over the eyes and the beak. 4. Shake off any excess. Set it aside to dry and that's it! Inexpensive and ridiculously easy!